Daily Visits are offered Monday-Friday at 9:30 a.m. and 1:30 p.m., and Saturday at 9:30 a.m.
Visit programs designed especially for transfer students are offered on Fridays at 1:00 p.m. Veteran Transfer Visits are offered the first Wednesday of every month at 1:00 p.m. Visits last approximately two hours and include a 30-minute presentation with an admission counselor followed by a guided campus tour. High School Counselors - if you would like to visit campus, please email visit@tcu.edu instead of registering through this form. If you have remaining questions after your visit, counselors will be available to offer guidance on the admission and financial aid processes. 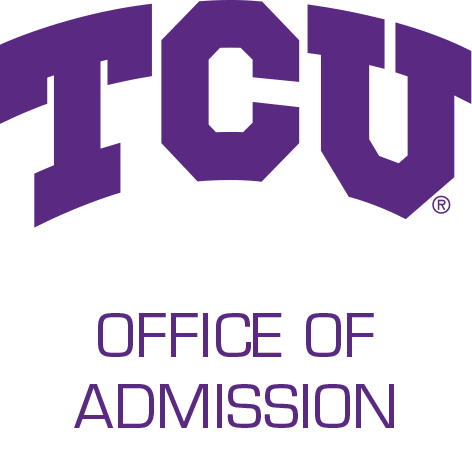 TCU Admission staff will be out of the office for staff development from Wednesday, May 15–Friday, May 17. We will not be offering information sessions or campus tours during this time. Due to finals week and move-out for current students, the last day to visit a residence hall during our campus tours is on Wednesday, May 1st. We will begin showing a residence hall again in June. Students who have reached the second semester of their junior year, and all transfer students, may request to meet with a professor or to sit in on a class. The Office of Admission will coordinate your department or classroom visit, but cannot guarantee it until confirmation is received from the academic department. Only requests made at least three weeks prior to the visit date will be considered. The confirmation page for your campus tour will provide a link to register for a departmental visit. Due to summer break, the last day for department and classroom visits is on Wednesday, May 1st. These visits will resume after Labor Day.